With the recent financial crisis affecting many countries, and with the cost of sourcing from China continues in its upward trends, many big retailers with global presence have started to look for alternative sources of supplies. SB Tape International is an attractive candidate for these super retailers. 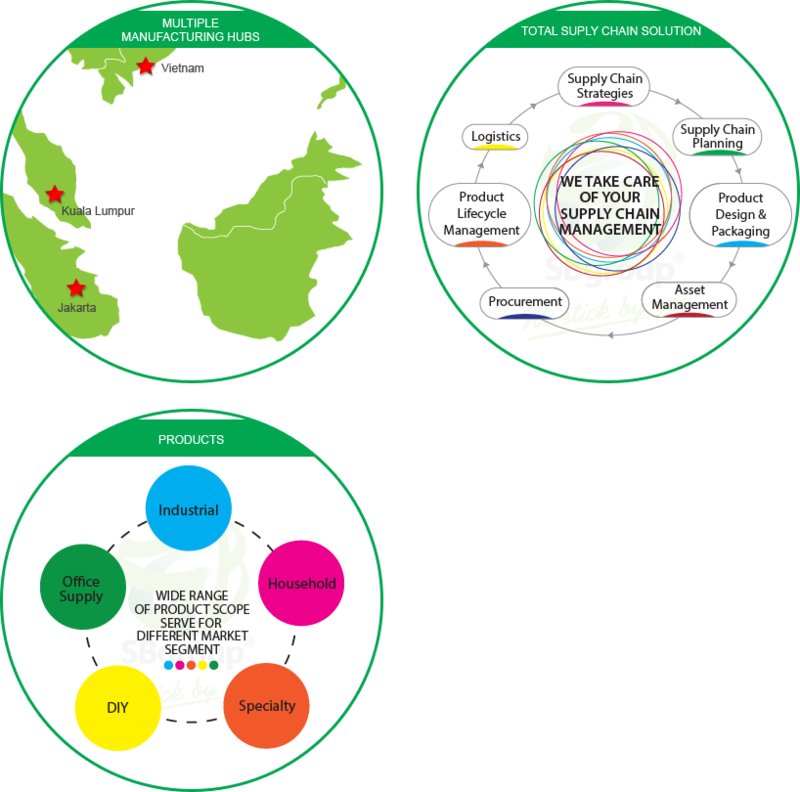 Firstly, our robust supply chain management and production capacity are able to ensure continuous supply in the most difficult situation. Secondly, we have a dynamic and proactive team that will work with great effort for new market demands and trading terms.